A little trinket my husband gave me years ago. Froggy hangs out with me at work. You can join in on the fun too. Go to missionpic.com, download the app, and get started. This entry was posted in 365 Project, Photo Challenges and tagged frog with roses, MissionPic, tiny. Bookmark the permalink. cute. What is that tiny frog about? What do you mean? 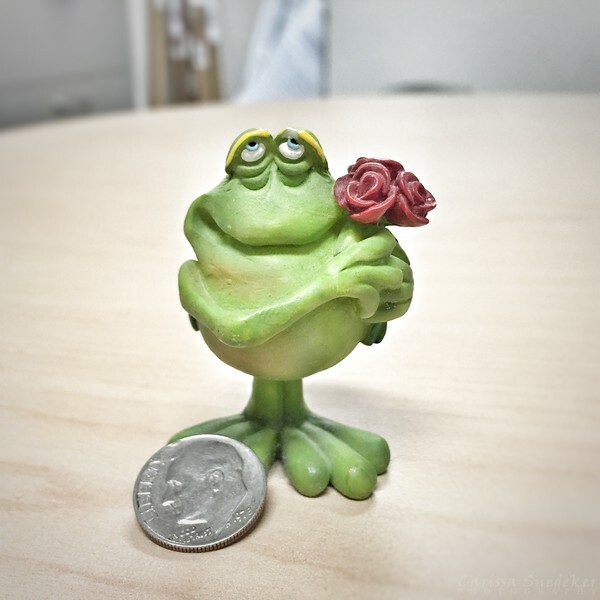 It’s a little frog Brad gave me many years ago. I collect them, and this is the tiniest one I have. Isn’t he cute?